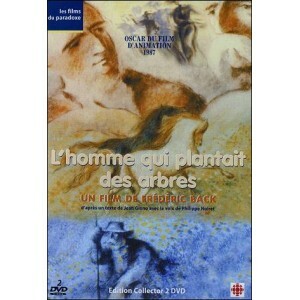 Frédéric BACK’s masterpiece, Oscar in 1987. More than 40 prices in the whole world ! Born on April 8, 1924 in Saarbrucken (Germany), died on December 2013 in Montreal (Canada). He lives and studies in Strasbourg, Rennes and Paris, before being established definitively in Montreal (Canada) in 1946. Teacher, illustrator, model maker, decorator, it collaborates regularly in educational, scientific and musical emissions.